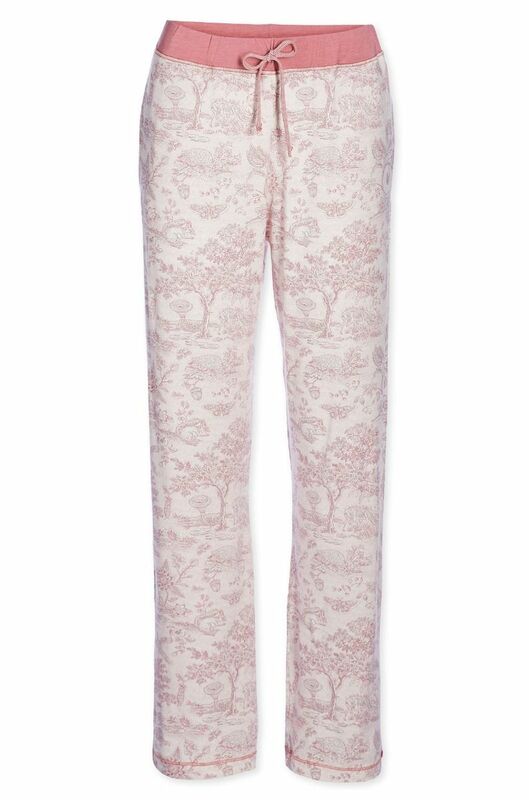 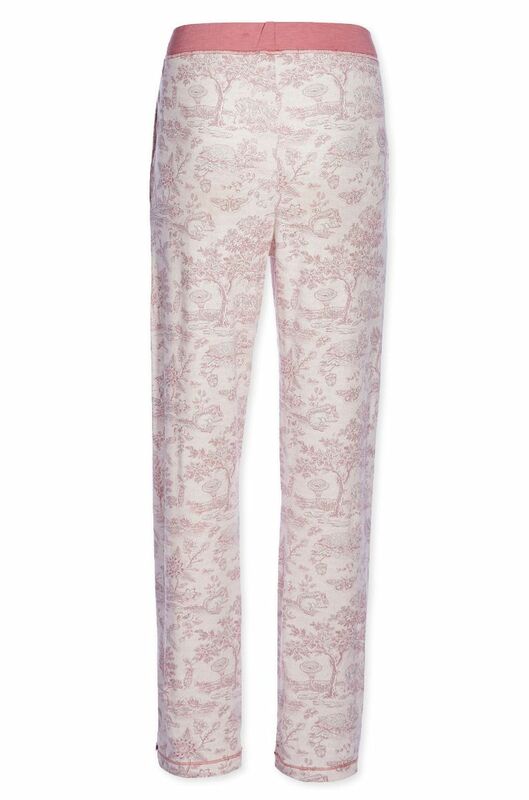 The Babbet pants with classic Hide and Seek print are brilliantly soft and comfortable. 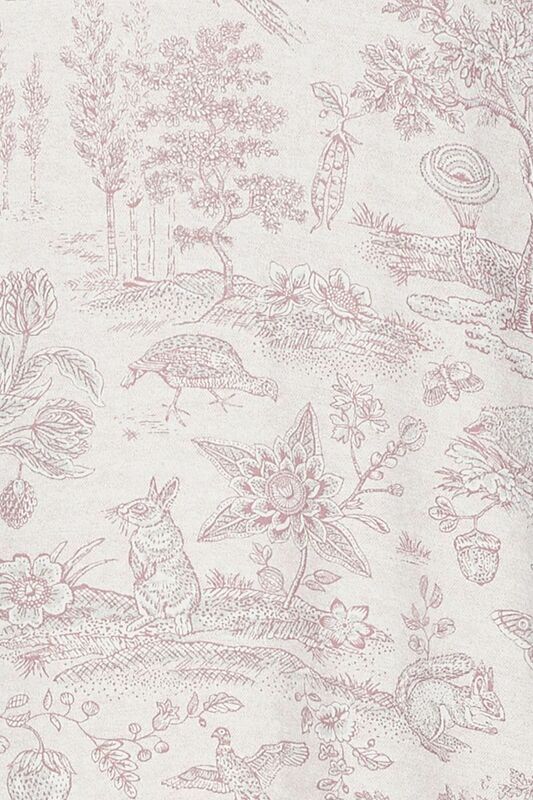 The pattern reminds of a an antique drawing of trees, berries, rabbits and flowers. 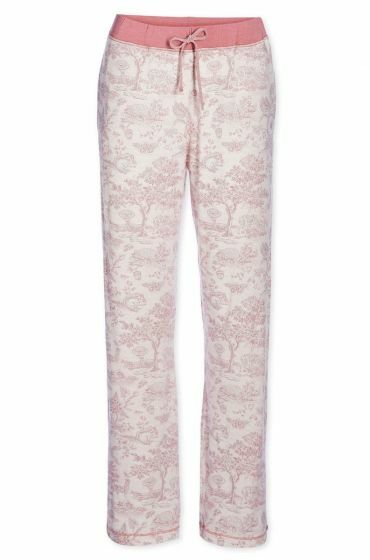 The pants have beautiful details like the contrasting elastic waistband and piping as well as the distinctive red-white striped Pip bow at the left leg.